As such, the exhibition and this accompanying book focus on the geometric system inherent in Gaudi’s design and its implementation in the completion of the Sagrada Familia- which, even after 125 years of building, remains one of the most extraordinary presentday construction projects. However, they by no means exhaustively cover this particular project, which represents the quintessence in Gaudf’s ceuvre, nor his work overall. 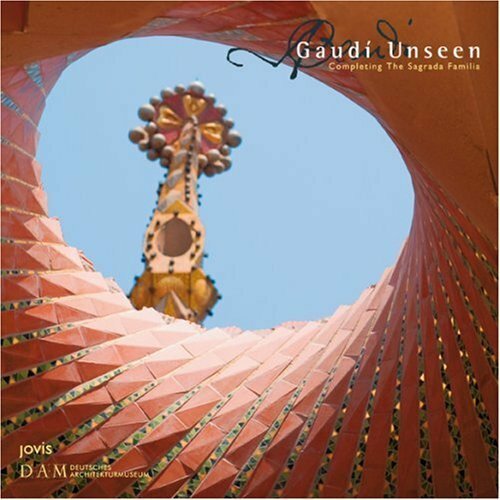 At least, however, with regard to the latest research on the Sagrada Familia, they do go some way towards filling the gap left by the two exhibitions in Germany addressing Gaudi’s work, in 2002 at the University of Stuttgart and in 2004 in the Paula Modersohn-Becker Museum in Bremen. The exhibition and accompanying publication were made possible through collaboration between Deutsches Architekturmuseum (DAM), the Spatial Information Architecture Laboratory (SIAL) at the Royal Melbourne Institute of Technology (RMIT), and the construction bureau of the Temple Expiatori de la Sagrada Familia. The collaboration between institutes in three countries was enabled, not least, through the support of Institut Ramon Llull, which on the occasion of Catalan Culture being guest of honor at the Frankfurt Book Fair, have kindly agreed to sponsor the exhibition and publication.